It's a special relationship that helps beautify our world with color and life! Butterflies and moths flutter from blossom to blossom feeding on nectar as they spread pollen among the flowers and plants. Some flowers actually mimic the appearance of butterflies in order to attract them. 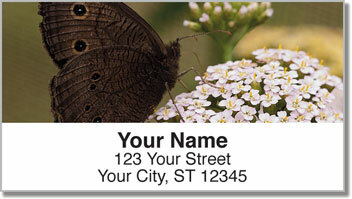 If you want to create your own butterfly garden, do a little research to find out what species are in your area and what flowers they are drawn to. Then plant your garden in a warm sunny area. Butterflies love basking in sunlight! 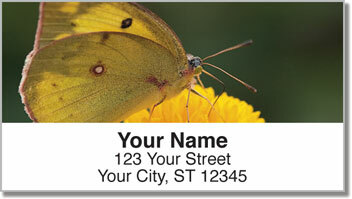 Butterfly Garden Address Labels feature incredible photos that give your mail an attractive look. Plus a convenient self-adhesive backing saves you a ton of time! 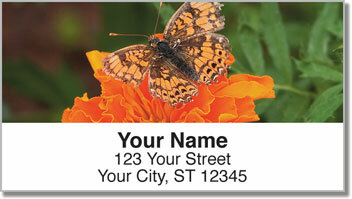 Get your very own Butterfly Garden Address Labels now. 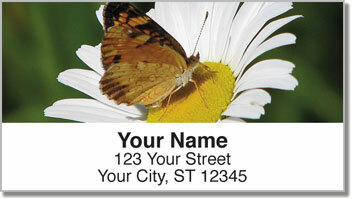 Add matching personal checks to make your order complete!